Care coordination is an essential component of care for children and youth with special health care needs (CYSHCN). When successfully implemented, it can improve care, reduce costs, avoid fragmented and duplicative care, and improve family functioning and satisfaction. 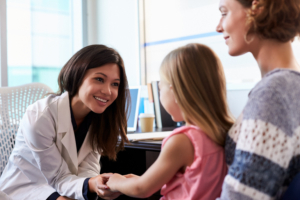 As states work to provide quality care coordination, many are adopting shared plans of care (SPoC) to enhance patient- and family-centered care delivery, and support improved outcomes and care quality. This issue brief, developed by the National Academy for State Health Policy with support from the Health Resources and Services Administration’s Maternal and Child Health Bureau, identifies approaches and strategies states can use to promote the use of SPoCs as part of care coordination. It also features case studies showcasing how Iowa, Oregon, Utah, and West Virginia are implementing SPoCs for CYSHCN.